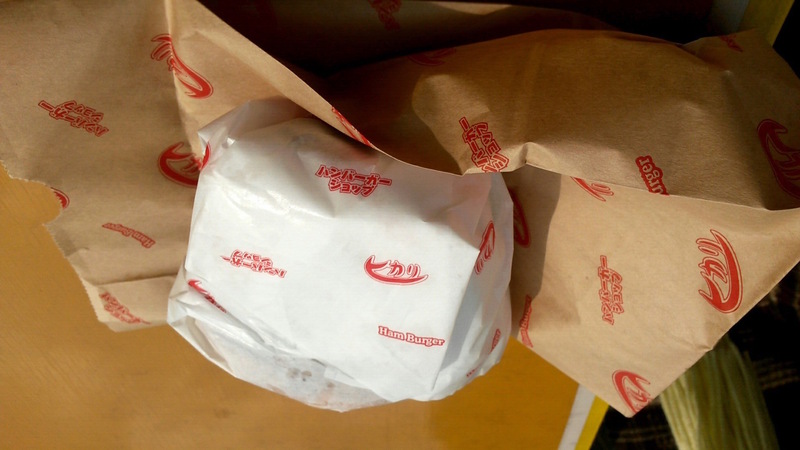 Continuing with my Nagasaki tour, the next stop should be Hikari Burger (a.k.a SASEBO BURGER)!!! Yes, this is what Sasebo City is known for. 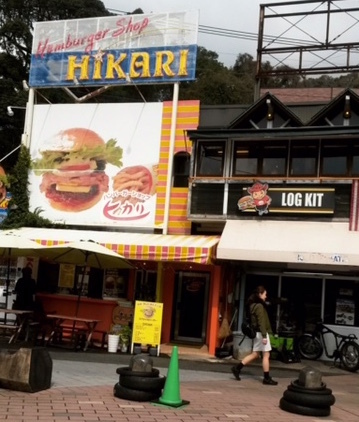 Hikari opened in 1950 and is one of the oldest burger restaurants in town. They are famous for its jumbo size burger. When I mean jumbo, it’s really jumbo. I lived here for 16 years, but I never had the chance to try it so it was actually my first day to order one! 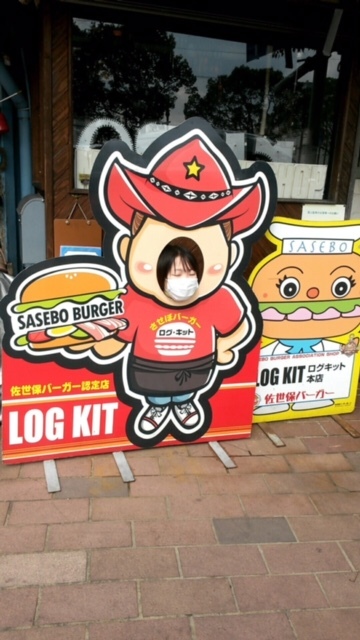 There were all sorts of burgers: Hamburger, Cheese Burger, Bacon Burger, Fish Burger, Jumbo Chicken Burger…etc. I decided to go with the “Special Burger”. I mean, who wouldn’t buy something that said “special” on it?! There are 3 tables outside for people to sit so I waited there. It has a nice little roof to block the sun. As my number was called, they handed me the huge special burger wrapped in a nice white cover. 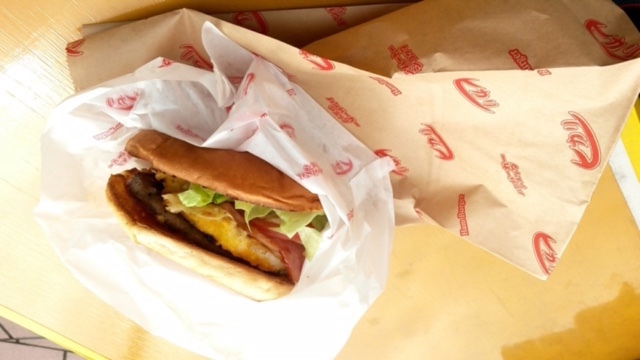 The Special Burger contained: huge soft buns with chicken meat, cheese, omelet, bacon, lettuce, tomatoes, and onions. As you can see from the picture, the egg is standing out so bright~! It was so hard to take my first bite off the burger because it was so tall. It took me 3 bites to actually get to the chicken and egg. I really liked their buns because they didn’t have any sesame’s and they were super soft and sweet. The combination of the chicken, egg, and the bacon are always the best. As I kept eating, first I thought the sweet flavor was from the buns, but they were actually the sauce. They rearranged the mayonnaise with some kind of spice, that the burgers actually tasted sweet! It took me a long time to finish because I’ve never had a burger that big in Japan. 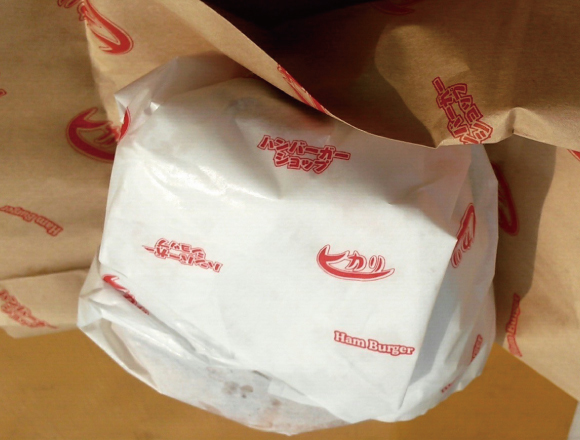 If you miss the real American size hamburger, come to Hikari!